Seven Arrows Brewing Company brings high-quality, true to style beer to the Commonwealth of Virginia. As a Virginia brewery, their portfolio is heavily focused on traditional lager-style beers. With their focus on lagers, clarity is a key quality parameter for the finished product. Seven Arrows clarifies their beers using depth filtration, and has chosen Filter Products Company as their media supplier because they provide quality products quickly, reliably, and at a reasonable price. Aaron Allen, Brewmaster at Seven Arrows Brewing Company, has 10 years of beverage filtration experience (6 of those at Coors), and an additional 7 years in the pharmaceutical industry. “One lesson every successful brewmaster learns early on is that process control is the key to producing a quality product,” Allen says. “Quality filtration equipment is a key part of the beer making process.” Residual yeast and other undesirable solids dull the taste of beer and shorten the product life. Clarity is a key quality parameter for the finished product. High-quality “clear” beer can be achieved in several ways: sedimentation, centrifugation, and filtration. Seven Arrows has chosen depth filtration as a primary clarification method for several reasons: lower capital cost, reasonable operational cost, ease of use, sterility, and repeatability. 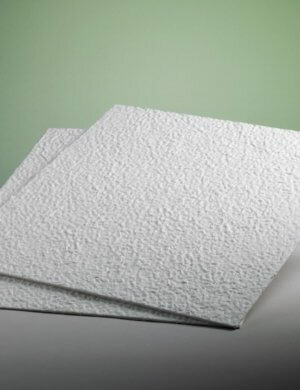 Filter Products Company offers a full line of ErtelAlsop MicroMedia depth filtration sheets for filter press applications. Media is available in grades that span the entire range of beverage filtration needs, and product can be purchased conveniently online. Filter Products Company strives to offer the best price and value for our customers. Since 1959, FPC has been known for its service, value, and reliability. ErtelAlsop has manufactured depth filtration media for over 80 years, and has been known throughout that time for innovation in filtration technologies. That is why Filter Products Company is proud to offer craft breweries the ErtelAlsop MicroMedia line of depth filtration sheets.